When looking for a motorcycle audio dealer to upgrade your motorcycle stereo or audio system, you may be faced with many options and among those options are authorized motorcycle audio dealers and non-authorized dealers. This is especially true in the competitive audio dealer market in Orange County. Crazy Stereo is an authorized motorcycle audio dealer and there are several important reasons to choose an authorized dealer. 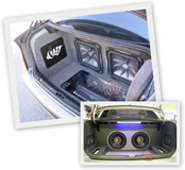 As an authorized dealer, Crazy Stereo, has authority from top name brands to sell, install, and service their products in our shop. This is important because it safeguards you, the consumer. As an authorized dealer we take pride in our work, and it shows in our craftsmanship. Our attention to detail and unique installation style results in work looking better then you may envision. This includes how subwoofer boxes are crafted from hand to fit the product safely in the space it requires. Also in how wiring is done so wires are neatly organized and protected. These kinds of high quality personal touches ensures excellent and long lasting sound quality. 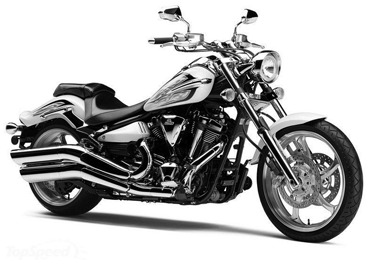 By having Crazy Stereo, an authorized dealer install your motorcycle audio, you are also getting three very important elements: warranty, service, and support. A warranty allows you to go back to the motorcycle authorized dealer during the warranty period after installation to have issues fixed at little to no extra cost to you. For example, if you choose to buy a head unit and the unit malfunctions, if it is covered under the warranty, you can return to the authorized dealer and have it fixed or replaced without having to buy a new one. At Crazy Stereo™, installations are covered by our in-house worry-free warranty that covers shipping, handling and labor for both removal and reinstallation, plus the warranty period is automatically extended from 30 days to 90 days at no additional charge! You’ll also receive an additional extended manufacturer warranty on Rockford Fosgate, Phoenix Gold and other select manufacturer’s products. In purchasing from Crazy Stereo, an authorized dealer, you are going to have access to service for your parts. For example, if you purchase a new phone or update your phone’s software and find it does not pair properly with your stereo, the firmware of your stereo unit may need updating as well. If the unit is under warranty, this service is provided for free from Crazy Stereo. If the warranty is over, you’ll pay a discounted fee for this service because you purchased the unit from Crazy Stereo. Electronics can be finicky and it is difficult for some to learn how to work all of the features with certain products. In the technological age, having access to technical support is important in order for you to make sure you get the most out of your product. The same is true for motorcycle audio equipment. By working with an authorized dealer, you get the support built into the purchase for a set duration of time. That means you contact the appropriate representative through the stated method in the agreement to get the help you need when you find yourself stuck on a feature or are getting an error you cannot work through. This gives you comfort of knowing help is only a short click or phone call away.